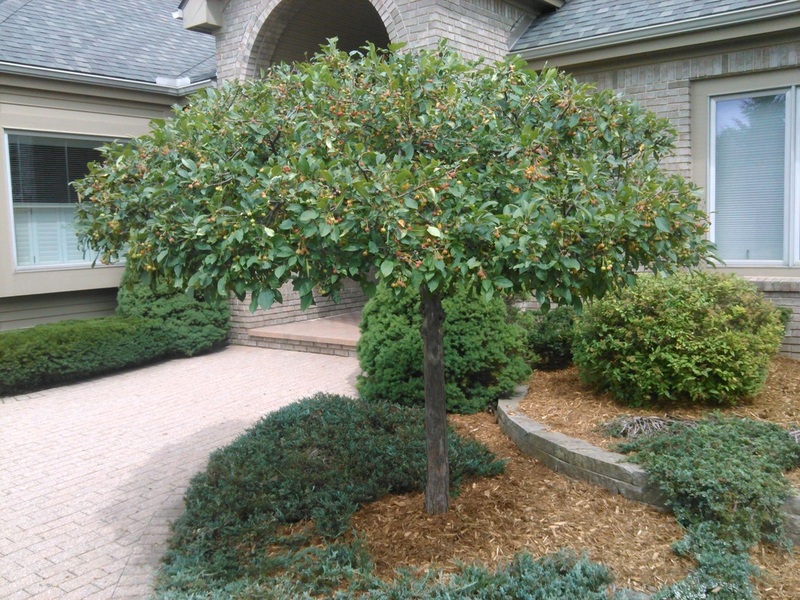 We are dedicated to providing high quality landscaping services to Ann Arbor, Ypsilanti, Saline, Dexter, Chelsea and the rest of Washtenaw County. From planting flowers to building brick patios, we can help you plan and execute your landscape project with three qualities in mind: beauty, functionality, and longevity. After working for, and learning from, multiple local landscape and garden companies, John Harvey started Huron Landscape & Maintenance. Experience in different fields of landscape installation, construction, and horticultural services allows us to offer a wide variety of services that can be viewed below. Very old burning bushes give this Ann Arbor landscape an elegant look.